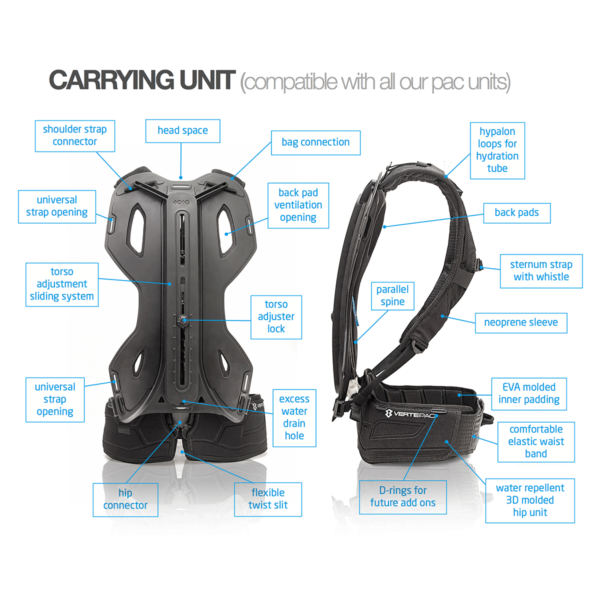 Hip belt - Which type do I need? 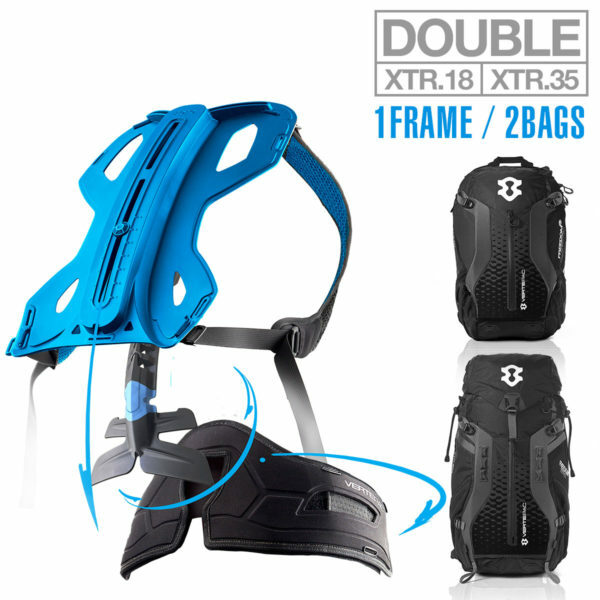 Base frame with an integrated Extendable Parallel Spine™ with breathable shoulder straps and PU-shoulder pads. Minimal skin contact for low transpiration. Easy length adjustment system for all torso lengths. Compatible with all Vertepac™ pac-units; switch pacs within a minute. 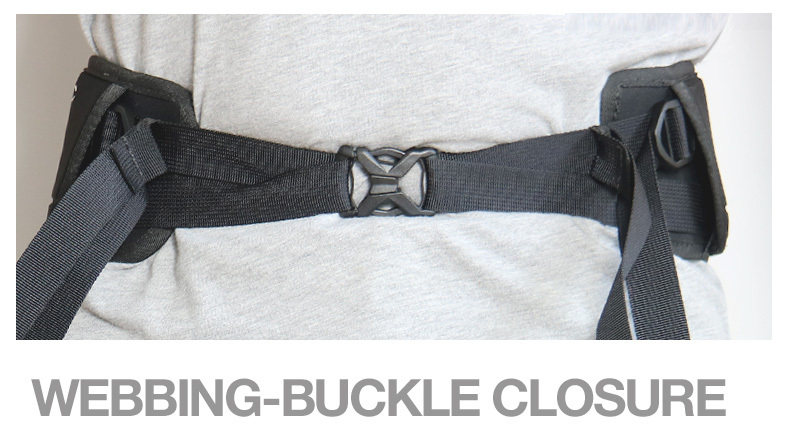 Ultra ergonomic 3D moulded hip belt with Elastic Super Comfort closure ((EVC) or Regular Webbing-Buckle closure (WBC). Adjustable for waists ranging from 32″ to 48″ (82 cm – 122 cm). 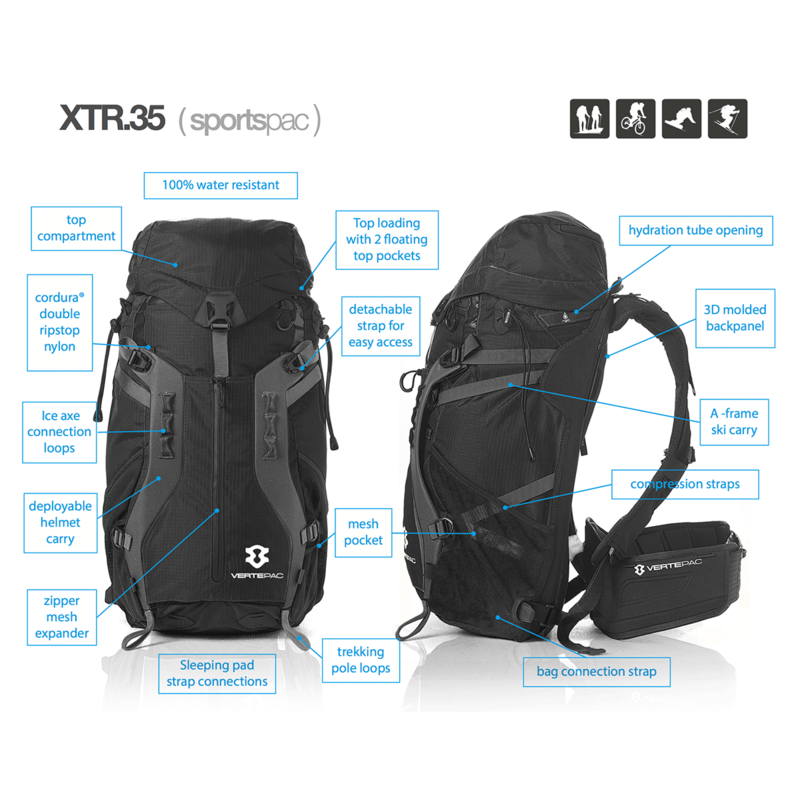 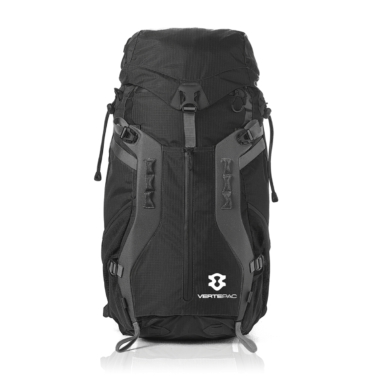 Versatile outdoor backpack – 18 l.
Deployable multi functional helmet carry with expandable stretch option. 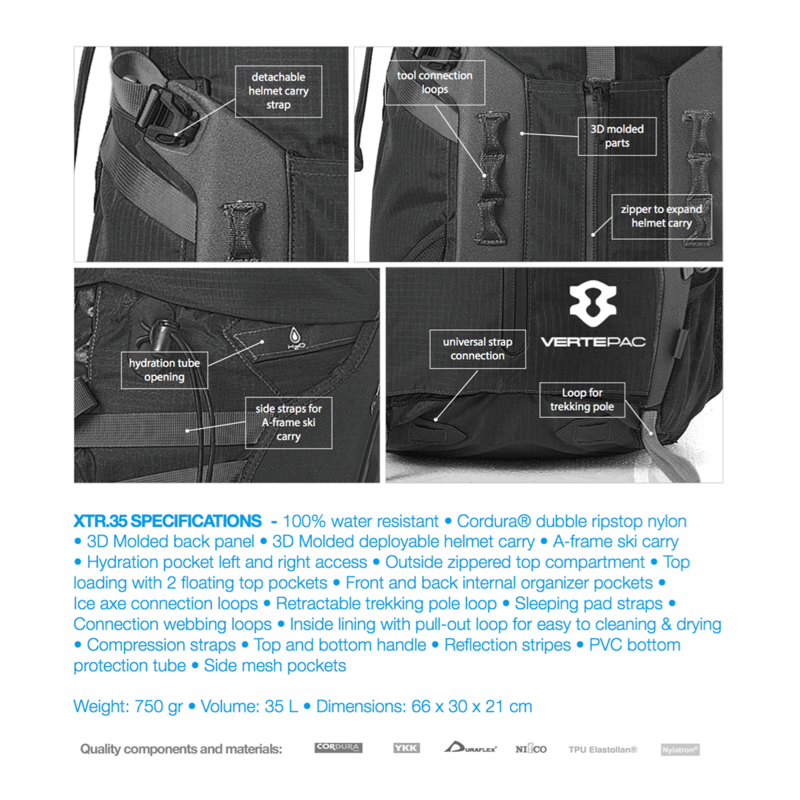 Inner liner for easy cleaning and quick drying. What is the difference between the 2 different closure systems (WBC vs EVC)? The WB-closure is similar to what is used in traditional backpack hip belts. 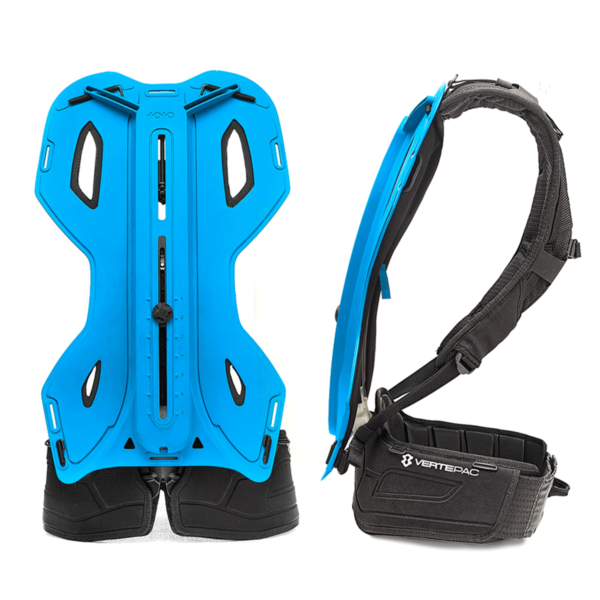 It comprises of 2 V-webbing straps on each side and a sliding buckle in the middle. It is a simple solution that is strong and sturdy and offers no stretch. 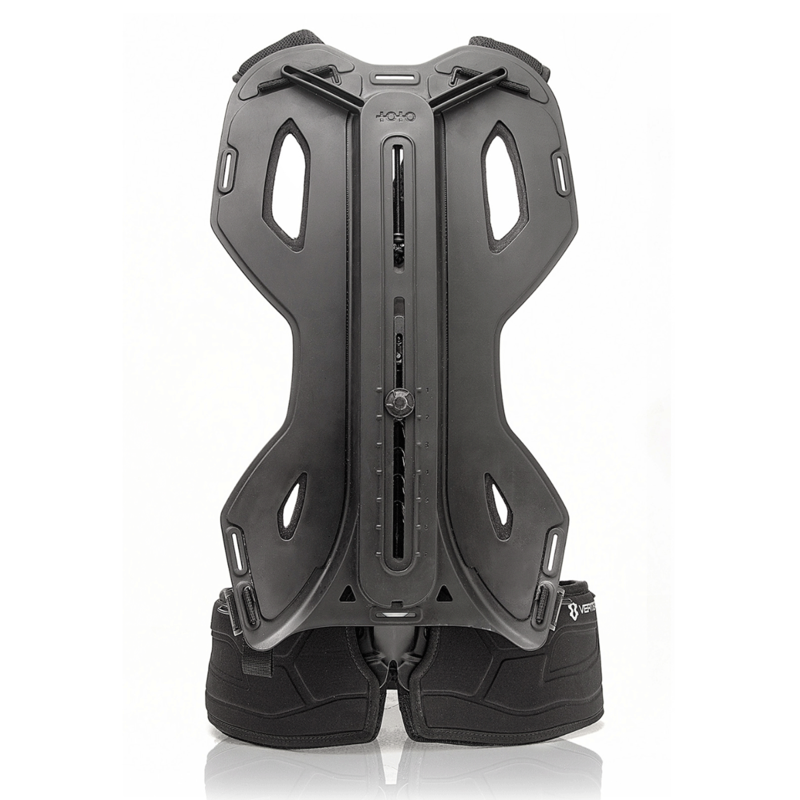 If you prefer a more cutting edge solution that offers more freedom of movement and comfort than the EV-closure is the better option. 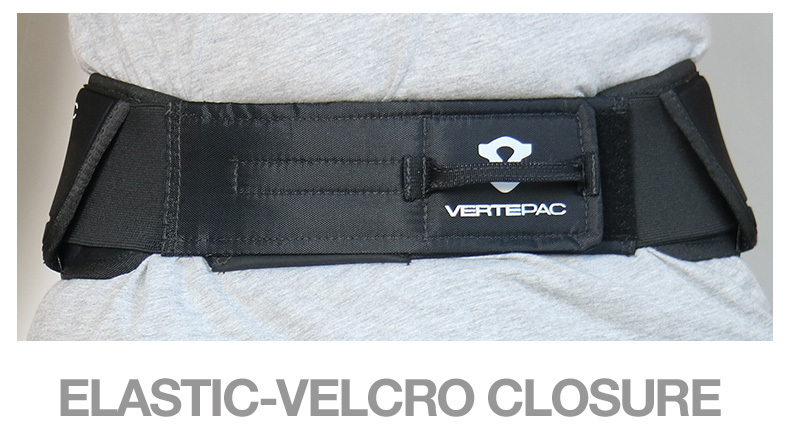 Two strong, flexible elastic bands fitting tightly around your waist that can be adjusted with a velcro pad closure.